Shoppers at intu Victoria Centre and intu Broadmarsh can benefit from a new, pioneering credit card as part of the first commercial agreement between shopping centre owner intu and the credit card experts MBNA. The new credit card will offer card holders in Nottingham a range of benefits whenever they spend, including intu gift cards and access to exclusive shopping offers from entertainment to leisure and dining. The deal is believed to be the first of its kind between a credit card provider and a shopping centre owner in the UK. “Thanks to intu’s nationwide scale and consumer facing brand, we’ve been able to team up with the UK’s leading credit card experts MBNA to create a sector first commercial agreement.” said Trevor Pereira, intu’s digital and commercial director. Over 35 million customers – equivalent to more than half the nation’s population – visit intu’s UK shopping centres every year which include intu Trafford Centre (Manchester), intu Lakeside (Essex) and intu Metrocentre (Newcastle). All in all, intu customers make an incredible 400 million centre visits a year. 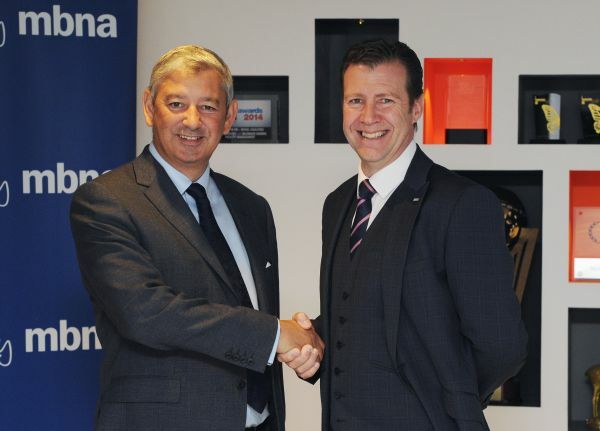 This new collaboration opens up a major new market for MBNA, after successfully engaging with a range of leading brands over the years. Consumer insight from MBNA has identified this as a significant market opportunity for pioneering, new financial products that will be beneficial for customers. The new intu credit card is available for eligible new customers to apply for from Monday, 5 September. Visit www.intu.co.uk/creditcard for more information or full terms and conditions. Up to £60 worth of intu gift cards in the first year. Cardholders will earn intu gift cards when they make card purchases anywhere (not just intu centres), including a £20 gift card when they spend £250 in the first 90 days of opening an account. To achieve the full £60 worth of intu gift cards, customers spending £3,000 will receive an additional £20, and when customers make card purchases of £5,000, they will receive another £20 gift card, bringing the first year’s rewards to a total of £60. The intu credit card can be used in conjunction with other loyalty cards, meaning customers will be able to gain rewards on both cards, known as double dipping. New intu credit card holders can enjoy a free 12-month membership and discount meals with the Gourmet Society worth £70, and members benefit from restaurant, cinema and national hotel offers. Exclusive shopping offers. As soon as they receive their card, customers can access a wide range of ongoing exclusive intu offers from entertainment to leisure and dining. Prize draw entry. Customers are automatically entered into a quarterly prize draw every time they make a card purchase with the chance to win items such as a luxury holiday, courtesy of MasterCard. Customers enjoy a promotional rate of zero per cent on card purchases for up to 12 months from when the account is opened. When this offer period comes to an end, a standard rate, which is currently16.9 per cent, will apply. For transfers made within the first 60 days from account opening, the intu credit card enables cardholders to transfer existing debts from credit or store cards with zero per cent on balance transfers for up to 12 months. A handling fee of 2.99 per cent will apply. After this period a standard rate, which is currently 18.9 per cent, and handling fee of 5 per cent will apply. For transfers made within the first 60 days from account opening, customers can transfer money into their bank account with zero per cent on money transfers for up to 12 months. A handling fee of 4 per cent will apply. After this period a standard rate, which is currently 23.9 per cent, and handling fee of 5 percent will apply. For the latest deals and offers available on the intu credit card and for full card terms and conditions, please visit www.intu.co.uk/creditcard. Eligibility for the credit card is dependent on individual circumstances and the results of the eligibility check. The APR, credit limit and terms of the offer may differ from the examples above. Representative example 16.9 percent per annum variable on card purchases. This is the equivalent to 16.9 percent APR representative variable based on a credit limit of £1,200.